I first learned about Tatjana Soli's The Lotus Eaters through status updates from several members of the Fiction Writers Co-op on Facebook. Having been to Vietnam myself in 1996, I knew I had to read it. The novel is a sprawling, sensual feast that is both beautiful and horrifying. The heroine, Helen Adams, is gutsy, her romantic entanglements unconventional, and seeing the war through her eyes offers a fresh perspective on a conflict that remains relevant today. This is an important book, and one I highly recommend. In this much-lauded, fiercely-imagined novel, Tatjana Soli paints a searing portrait of three remarkable photographers brought together under the impossible umbrella of war. In the final days of a falling Saigon, Helen Adams, a once-underestimated amateur whose gutsy photographs have turned her into a dazzling, if jaded, star, finds her ambition conflicts with her desire as she grapples with her feelings for two very different men: the mysterious Linh, a Vietnamese photojournalist with questionable loyalties, and Sam Darrow, an American reporter addicted to the narcotic of violence and to his dangerous love for Helen. All three become transformed by the chaos they risk everything to record. The Lotus Eaters unfolds a stirring canvas of three souls trapped by their intense passions and treacherous obsessions. Readers will be transfixed by this stunning debut contrasting the wrenching horrors of combat with the redemptive power of love. Tatjana Soli lives in Orange County, California. 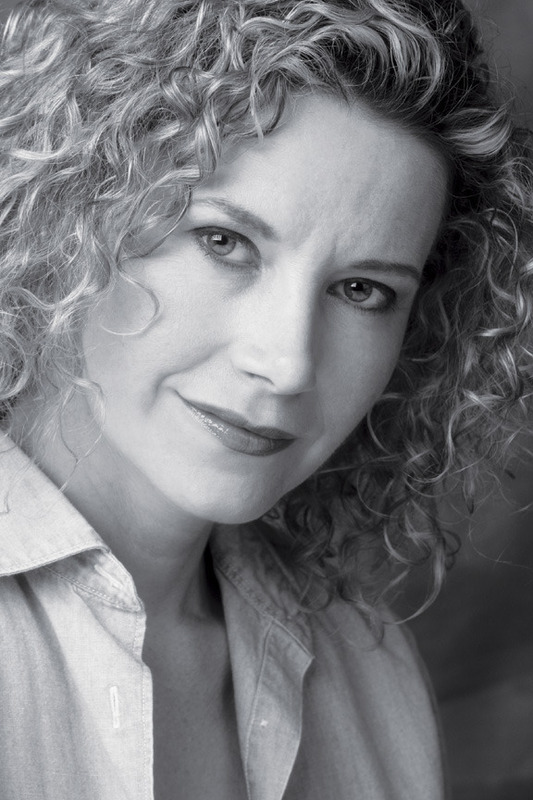 Her short stories have been widely published and twice cited in the 100 Distinguished Stories in Best American Short Stories and nominated for the Pushcart Prize. The Lotus Eaters is her debut novel. W.W.W. - I was struck by how realistic your depiction of the sensory overload of Saigon is. 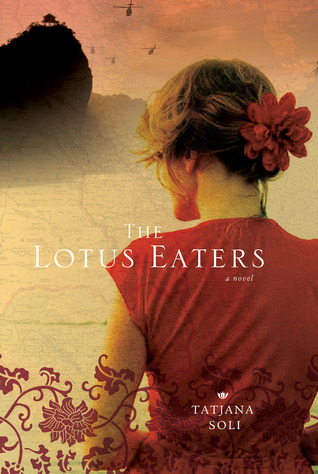 The Lotus Eaters reads like a novel by someone who had spent a great deal of time in Vietnam. Have you been there or do you just have a fantastic imagination based on extensive research? T.S. - I had not been to Vietnam until this past winter, although I had been to other parts of Asia. I certainly did extensive research, but I really wanted the sensory details to be filtered through my characters. The Saigon (or Ho Chi Minh City) that you visit now is not the same city as during the war, except in generalities. But neither the current Saigon or wartime Saigon is exactly the city that my characters travel through. I had a very nice woman write to me and ask where the yellow building was in Cholon so that she could visit it on her upcoming trip. That’s a great compliment when the imaginary becomes so real. W.W.W. - You were born in Salzburg and spent at least some time in Italy as a child. How has this experience of dislocation from your homeland affected the focus of your writing? Do you find you relate more to characters who are outside the norm of the society in which they live? T.S. - Maybe my experiences have made me more open to people from other cultures, but I really think that’s the job of all writers, to be open to everything around them, to notice what is usually overlooked. I would say that as a reader, the type of fiction I’ve always been attracted to deals with multiple cultures, politics, dislocation. A huge number of people in the world are displaced — it is, unfortunately, a more and more common experience. But there can be an outsider within a family, dislocation within the most middle-class suburb. So a writer can mine any of these areas depending of her sensibility. W.W.W. - After traveling to Vietnam in 1996 I read a memoir called When Heaven and Earth Changed Places by Le Ly Hayslip. I remember my father (a Vietnam vet) feeling very torn after reading it. He long felt we hadn’t belonged there and had no chance of winning due to a misunderstanding of Vietnamese culture. This book confirmed that for him. Have you read it? Did you come to similar conclusions as you researched and wrote this book? T.S. - I have read that book, and I think books like Hayslip’s and also another, The Sacred Willow, by Duong Van Mai Elliott, are so important in filling the missing places of the war for Americans. I think anyone reading our soldiers’ accounts of the war knew it was a wrong war from the start. Read Tim O’Brien’s The Things They Carried, but also non-fiction like Neil Sheehan’s A Bright Shining Lie or Michael Herr’s Dispatches. 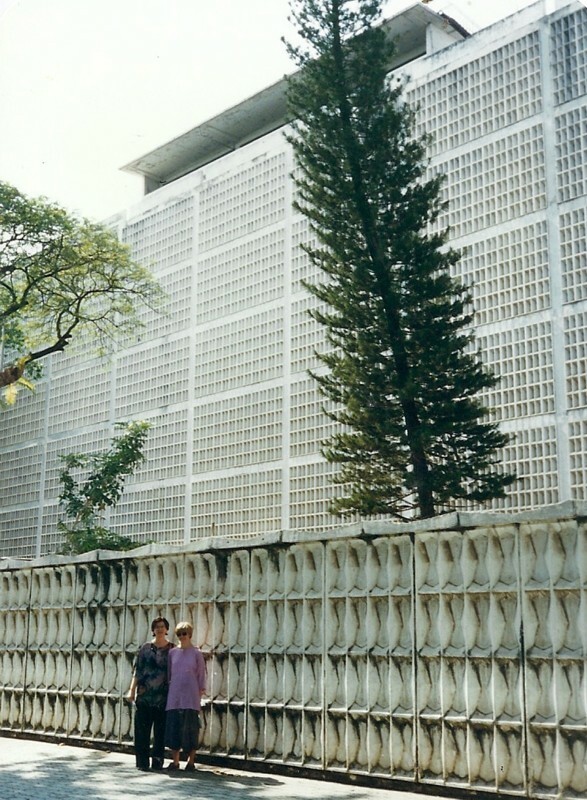 But the Vietnamese perspective gives us the reasons for why things went so terribly wrong. When you read the history of Ho Chi Minh, you find out that he reached out to America to support Vietnam in its bid for independence. He fashioned the Vietnamese Declaration of Independence after our own. Instead of encouraging that nascent democracy, we later went to war with the country, fearing the spread of communism. A tragedy and waste for all sides. W.W.W. - Do you feel the Vietnam War is a timely subject today? Why? T.S. - I started to write the book in 2000, and at the time it seemed safely historical. In a way, it almost seemed possible to abstract Vietnam to stand in for any war. The world changed drastically in this last decade. Suddenly we are involved in many foreign conflicts, and what I did not intend to be timely has unfortunately turned so. I just came across an article in the New York Times about a NATO helicopter mistakenly gunning down nine Afghan boys who they mistook for insurgents. The president of Afghanistan, Karzai, condemned the attack, and questioned how the West could combat terrorism and secure his country while civilians continued to die. There are protests against our presence there. Another nightmare, much like Vietnam in the outcome if not in the particulars. W.W.W. - While Helen was the main character of The Lotus Eaters, I found myself most fascinated with and sympathetic to Linh. He was placed in so many impossible situations, a pawn to both sides, and I never felt there was any ‘right’ choice for him to make. This was likely true for a lot of Vietnamese. How did you put yourself in the mindset of a man so different from yourself? T.S. - I felt the strongest emotional bond with Linh, but I think that is natural because he is so unfairly a victim of things outside his control. Yet he lives his life with a kind of grace. That’s his sanity. Love also becomes a lifeline for him. With Helen, I very consciously did not want her to be a victim because that is the expectation for a woman during war. Although terrible things happen to her, she remains active, however flawed. That was a more difficult balancing act, to create the kind of complexity that would be true for a journalist and a woman to survive during that time period. W.W.W. - The camera seemed to represent both a shield and potential doom for Helen, which was an interesting parallel to the common idea that in Vietnam even your closest and most trusted friend could turn out to be the enemy. Was this intentional? T.S. - In a personal sense, Helen is brave because of that camera. She would not be on patrol without it; it provides both a reason for her to put herself in harm’s way, and the ability to abstract herself from the situation, to concentrate on her technique, on getting the photo, instead of the possibility of dying. Then there is the bigger question of what the photos mean when they go out into the world — are they a force for good, or are they simply a kind of voyeurism? In my reading I did come across quite a few stories by Americans who felt that the Vietnamese that they worked with had betrayed them. They felt they were liked, protected, and then suddenly they found out that the nice lady who did the laundry on the airbase brought in a bomb. Or the famous account of the spy, Phan Xuan An, who was a correspondent for Time, a friend to most of the Western journalists over the years, but refused to leave at the end. He was found out after the war to be a Communist operative. Not to minimize these things, but we were seen as invaders. No matter how much Americans were liked individually, no matter how much the Vietnamese liked American culture (and still do), they were fighting for their country’s very survival. W.W.W. - I’m sure you used some of the iconic images of crowds storming the American embassy gates as a guide for writing the opening scenes of The Lotus Eaters, but this was another section that came across as ‘experienced’ in some way. Reading it took me back to when I stood in front of those gates myself, touched them, and heard screams in the wind. Did you talk to veterans who had been there? Watched TV footage? Stood at the gates yourself? T.S. - Of course, like everyone else, I’ve watched the footage, which never fails to devastate me. For the research I relied heavily on two books that I cite in the bibliography, first-hand accounts of those last days. For me, the power of those images worked as the outward sign of Helen’s interior. The unthinkable was happening, and both Helen and Linh are moving through a nightmare. When I went to Saigon recently, everything I saw was filtered through the things I had learned but also the things I imagined. By the time I reached Hanoi, the feeling was gone. I was again just a tourist. Thank you for stopping by today, Tatjana! The Lotus Eaters is available at bookstores everywhere. Hi Kim, This sounds like a book I will enjoy. I need to see if it's available on Kindle as I don't think I can get it in Italy yet, at least in English. I'm sure it would be, Dad. You can get it on the Nook. Excellent interview, Kim. Now I really regret not having found a way to bring my copy of the Lotus Eaters with me to Italy. Ran into a luggage weight problem. Will be sure to read the book when I get home.